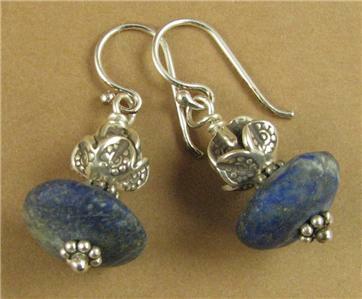 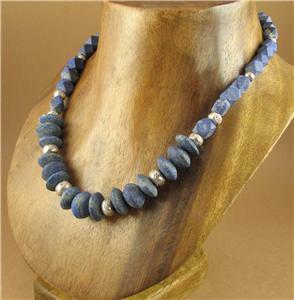 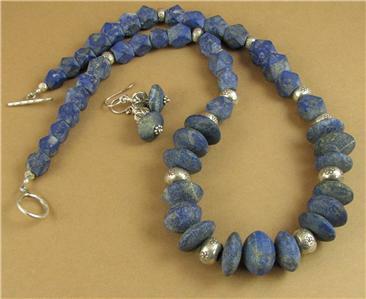 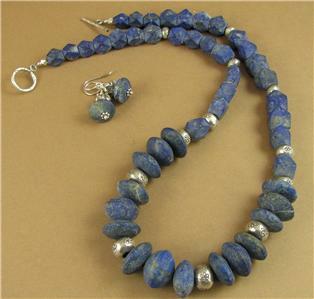 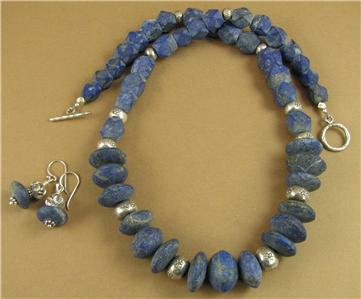 Home › Lapis lazuli necklace & earrings set. 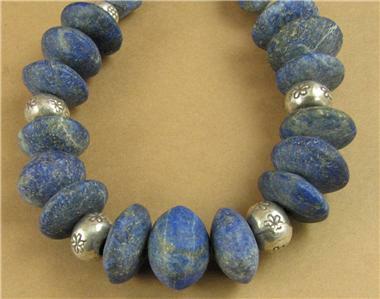 Chunky.Unpolished. 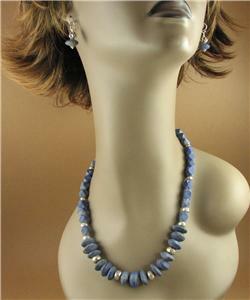 Fine & sterling silver.